Responding to a consultation of the EU Commission, various music industry groups are warning against a right for consumers to sell their MP3s. IFPI notes that people should be barred from selling their digital purchases because it's too convenient, while the quality of digital copies remains top-notch. Interestingly, the UK Government opposes this stance with a rather progressive view. To gather the opinions of the public and other stakeholders on copyright reform, the EU Commission launched a consultation a few months ago. The call resulted in hundreds of submissions, which were made public recently. One of the topics being covered is the issue of “digital resales.” In other words, whether consumers should be allowed to sell digital music files, videos and software they purchased previously. In the United States the ReDigi case has been the center of this debate, with a federal court ruling in favor of Capitol Records last year. In the EU, however, the Court of Justice previously ruled that consumers are free to resell games and software, even when there’s no physical copy. In the submissions to the EU Commission consultation numerous parties weigh in on the subject. Interestingly, the UK Government takes a rather progressive stance by stating that people should be allowed to sell “used” tracks bought in the iTunes store, or used videos they’ve downloaded from Amazon. “There seems to be no reason why this should not be the case for digital copies, except for the ‘forward and delete’ issue noted by the consultation,” it adds. In other words, according to the UK Government people have the right to sell any digital files they have bought, as long as the original copy is deleted. This stands in sharp contrast to the various record label groups who warn that digital resales may crush the industry. IFPI, for example, notes in its submission that allowing digital resales would hurt the entire music industry, and threaten the livelihoods of many artists. “In the recorded music sector, the consequences of enabling the resale of digital content would have very harmful consequences for the entire music market,” IFPI writes. “The notion that the exhaustion principle should apply to copies acquired by means of digital transmissions in the same way that it applies to physical copies ignores the many differences between the two kinds of copies and between the two distribution processes,” the music group adds. In other words, people shouldn’t be allowed to resell digital music because it’s too convenient, and because the copies don’t lose their quality. While it’s no surprise that the labels are against digital resales, these arguments do raise some eyebrows. After all, there are also many physical products that are easy to ship and keep their value over time, which are perfectly fine to resell. 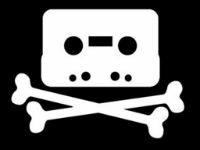 IFPI is not alone in their restrictive view on selling used digital files. The UK-based music group BPI also submitted a response to the consultation, using similar arguments, as did individual labels such as Universal Music and Sony Music. “The consequences of allowing resale of previously purchased digital content would be devastating to the music industry. It would compete directly with the sale of original digital files as they would be entirely substitutional,” Universal notes, for example. It is now up to the EU Commission to sift through all the submissions to see what the ideas of various stakeholders and the public are on the matter, and how this should impact future legislation. c There are 129 comments. Add yours?